Apple (NSDQ: AAPL), a well-known name in the technology industry is now focussing into the healthcare sector. It has hired around 50 doctors till date. The main reason behind this hiring is to bring healthcare services to its products like iPhone, iPad, and watch and focus on serious illness. This team of doctors guides apple to implement these services. These doctors are available in different teams across the globe. Let us see about the healthcare products of Apple. Apple has released many health products. For example, it has a health record API which helps act as a database to record all the medications, lab reports, allergies etc. This information is stored securely and fastly available on request by medical practitioners. Apart from this, their health app monitors the customer’s activity, nutrition, mindfulness, and sleep. Health sensors are available in apple watches which were developed under the guidance of embedded doctors. The latest Apple watches series 4 comes with the features of monitoring high heart rate notification, low heart rate notification, irregular rhythm notification, and ECG app and fall detection. How all these extraordinary products came up? All these technological wonders were made by Apple with the help of renowned doctors. Mostly doctors were the greatest critics of Apple products. So the company always gave priorities for the doctor’s opinion on their health products. They even launched a website to answer the clinician’s questions after launching the electrocardiogram sensor. These sensors were used to find the irregularities in heart rhythm used in Apple watches. Well known doctors like Dr. Sumbul Desai, Dr. Lauren Cheung work in apple watches. Dr.Sumbul Desai, a former Stanford medical doctor reports to Apple COO Jeff Williams. 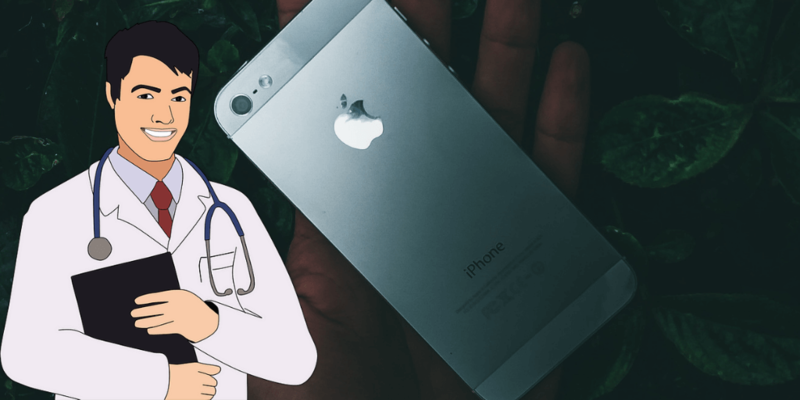 Dr. Michael Evan, a family medicine practitioner, and Dr.Michael O Reilly, an anesthesiologist have been associated with apple for almost six years. They also hold a top executive post in Apple. Apple collaborated with Zimmer Biomet (NYSE: ZBH) to introduce Zimmer Biomet mymobility app under the guidance of orthopedic surgeon Dr. Sharat kusuma. This app helps patients who undergo hip and knee replacement. The patient is fully monitored before and after the surgery by the medical team using this app installed in Apple watches. All these doctors still practice medicine and attend patients to be knowledgeable practically. This patient experience they apply in Apple also. The Cupertino headquartered company has recently opened its own wellness clinic called AC wellness clinic in California and Santa Clara County for its employees. This initiative helps in providing primary health care to its employees. The website is acwellness.com for this subsidiary company of apple. Nutrition specialist, therapist, and nurses are recruited mainly in acwellness clinics. This indicates that Apple primarily focuses on the wellness of the employees. The ACwellness employees have experiences in start-ups. These factors suggest that Apple is investing in next-gen healthcare solutions like virtual medicines.